New Music by Tokyo & NYC Composers. 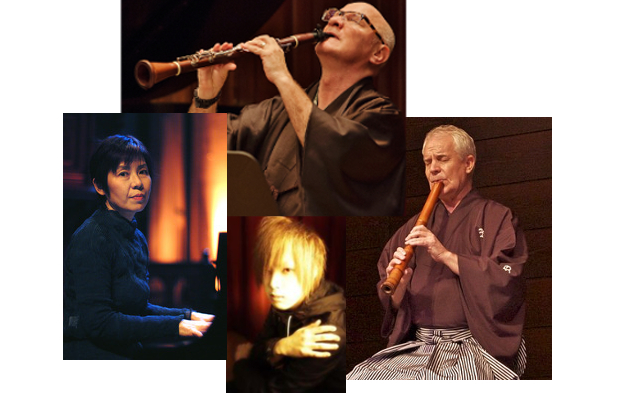 Unfortunately, Aki Takahashi will be unable to perform on the Jan. 12th "Tokyo to New York" concert. She very recently suffered an accidental injury to her hand. She is very sorry to not be able to perform on the concert. She sends her sincere regrets: ご迷惑をおかけして申し訳ありません。 We wish our friend and colleague a quick recovery, and look forward to working with her in the future. I hope you will join us in wishing Takahashi san the best. Pianist Hiromi Omori will join Thomas Piercy, Christopher Blasdel and Yusuke Satoh in the concert. Spring 2006, she was invited to Maerz Musik Festival in Berlin as a “Pianist in Residence” for performing 5 concerts in the festival. In the Fall, her recital in New York playing Morton Feldman's pieces was noted as the Best Concert of the Year by the New York Times.